Nikon finally unveiled their new flagship ‘multimedia’ SLR today, the much anticipated Nikon D4 SLR. The camera is Nikon’s ultimate professional camera for the time being and features very capable still image shooting as well as video recording capabilities. It’s a lovely Friday, people are busy shopping for the holiday season, so here’s a review of a nice little Nikon: the Coolpix S8200.The Coolpix S8200 is a compact camera with a whopping 14X optical zoom lens, new 16 megapixel backlit CMOS sensor and Full HD movie mode. Visit the Nikon Coolpix S8200 photo gallery to see our usual large gallery of sample photos. Nikon took the wraps off their new flagship prosumer digital camera today, the Coolpix P7100. 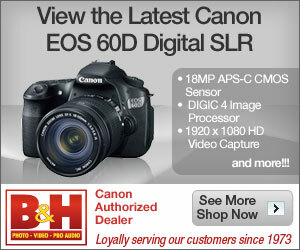 This new camera goes after the likes of other prosumer cameras out there like the Canon G-series. The camera comes with a hotshoe, RAW mode and various enthusiast level controls on its body. Nikon proved that they’re still interested in making projector-equipped digital cameras with the release of their new Coolpix S1200pj today. Nikon released a compact, big screen digital camera today. The Coolpix S100’s 3.5 inch OLED display is one of the biggest on a digital camera, and it’s a touchscreen too.